The 2016 Honda Pilot is one of the most trusted SUVs around, but that’s far from the only reason why Goshen and Monroe drivers prefer it to the 2016 Ford Flex. Take a quick read through our competitive comparison to see which SUV would make the best choice for you and your family. 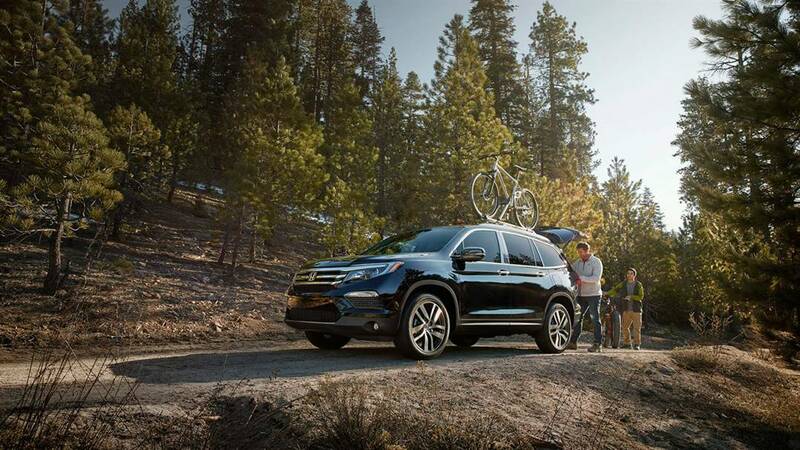 The 2016 Honda Pilot comes standard with all the power you need thanks to its cutting-edge 3.5L V6 engine. Enlivening the vehicle with up to 280 hp and 262 lb-ft of torque, it provides the raw energy needed for drivers to brave the backcountry, zip through the city, and cruise the highway with confidence, even when all 8 seats are occupied. You’ll even be able to tow up to a colossal 5,000 pounds when properly equipped. However, the real news comes with the Pilot’s outstanding efficiency ratings. You’ll be able to pick from either a 6-speed or 9-speed automatic transmission, making up to 19 mpg in the city and 27 mpg on the highway* with the 6-speed and FWD or 20 mpg city and 27 mpg highway* with the 9-speed and FWD. The 2016 Ford Flex does come with a slightly more powerful engine — a 3.5L V6 — but that marginal boost results in a dramatic drop in efficiency. With the Flex, Goshen and Monroe drivers will make up to 16 mpg in the city and 23 mpg on the highway. The available EcoBoost V6 offers the same low efficiency ratings, and the Flex’s 4,500-pound maximum tow rating means that it can never rival the Pilot in terms of capability. The 2016 Ford Flex roughly measures up to the 2016 Honda Pilot by offering up to 83.2 cubic feet of cargo space to the Pilot’s 83.9. However, growing families will find themselves at something of a disadvantage when they opt for the Flex since it provides only 7 passenger seats. The Pilot can seat up to 8 people. 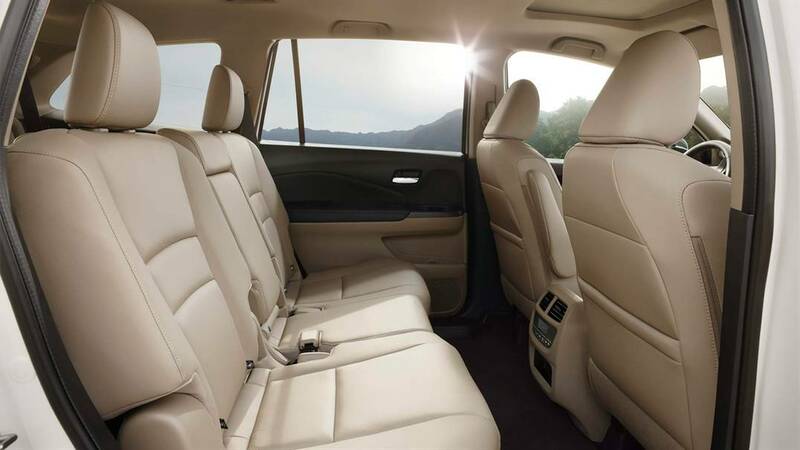 Additionally, the Pilot offers one-touch second-row seats to ensure that everyone can access the vehicle with ease. Just one touch of a button makes the second-row seats tilt and move forward, allowing effortless access to the rear row. 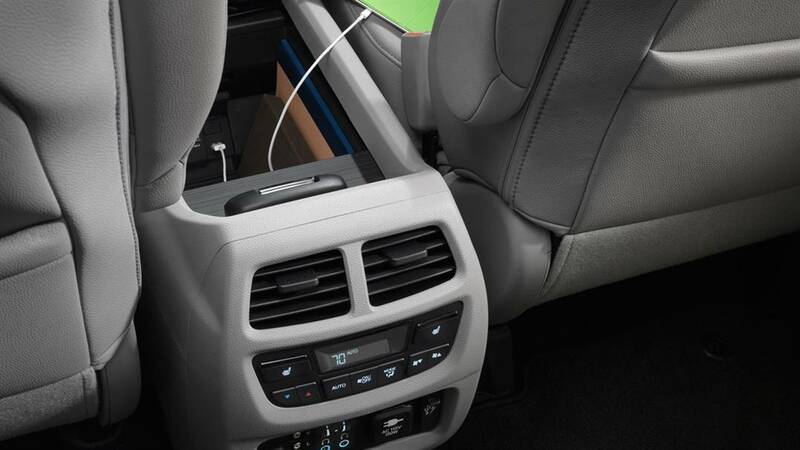 The 2016 Honda Pilot continues to define its segment when it comes to onboard features. 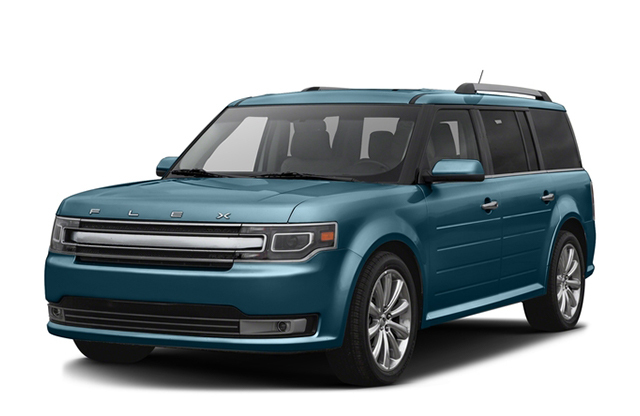 With a strong selection of standard and available features, including many that are not available with the 2016 Ford Flex, this is one of the most well-equipped SUVs available. Speed-Sensitive Volume Control: Pilot drivers won’t have their Bluetooth calls or music drowned out by engine noise. This handy feature automatically changes the volume to compensate. HomeLink Remote System: Connect your Pilot to your garage door opener, as well as a host of other available HomeLink technologies, all without breaking a sweat. Tri-Zone Automatic Climate Control: The 2016 Flex only offers a dual-zone system, even in upper-level trims. The Pilot comes with tri-zone climate control in every trim except the LX, so all passengers can stay at their own ideal temperature. 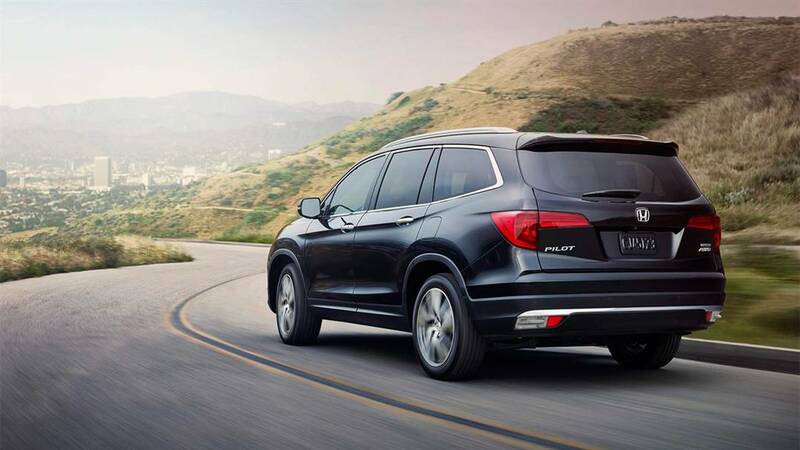 The 2016 Honda Pilot truly pulls away from the 2016 Ford Flex when it comes to safety — just one of the reasons why this is a popular model among Goshen and Monroe families. Unlike the Ford Flex, the 2016 Pilot was named a 2016 Top Safety Pick by the IIHS. Road Departure Mitigation System: Monitors common road markings, then prevents you from straying. Collision Mitigation Braking System: Automatically applies the brakes to avoid a frontal collision. Lane Keeping Assist System: Gently corrects your steering if you stray from your chosen lane. 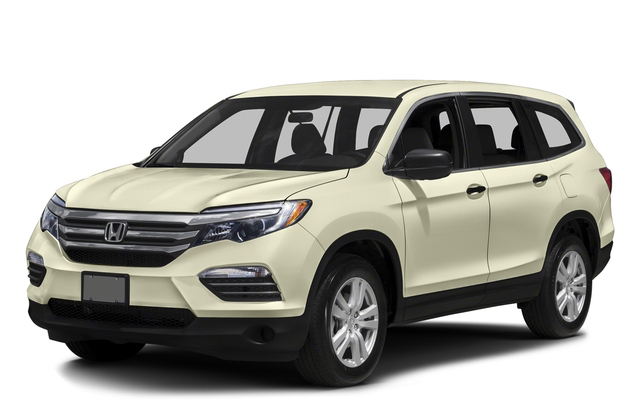 The 2016 Honda Pilot offers a combination of power and efficiency that leaves the 2016 Ford Flex in the dust, plus a long list of tempting onboard features. To find out more near Goshen and Monroe, just contact Middletown Honda today.